Thousands of Turks flee Turkey due to a massive witch-hunt launched by the Justice and Development Party (AK Party) government against the Kurds and the Gülen Group in the wake of a failed coup attempt on July 15, 2016. Around 14,000 people crossed the Evros frontier from January through September of this year, more than double the number for the whole of last year, according to the Greek police. Around half of them were Turkish citizens, according to estimates from Frontex, the European Union’s border agency. Many are judges, military personnel, civil servants or business people who have fallen under Turkish authorities’ suspicion, had their passports canceled and chosen an illegal route out. Nearly 4,000 Turks have applied for asylum in Greece so far this year. But most Turkish arrivals don’t register their presence in Greece, planning instead to head deeper into Europe and further from Turkey. “In the dead of night, Yunuz Cagar and his wife Cansu gave their baby some herbal tea to help her sleep, donned backpacks and followed smugglers on a muddy path along the Evros river, evading fences and border guards until they reached Greece. Mr. Cagar, a 29-year-old court clerk, was living a quiet life with his family in a provincial town near Istanbul until Turkey’s crackdown after a failed military coup in 2016 turned their world upside down. Judges, colleagues and friends were arrested. He lost his job and had to move the family into his parents’ attic. Mr. Cagar was arrested and spent four months in prison. His crime, he says, was downloading a messaging app, an act he says the state treated as evidence of supporting terrorism. The flow of asylum seekers crossing the Greek-Turkish border along the Evros river is rising for the first time since the peak of Europe’s migration crisis in 2015. This time, though, the increase is mainly due to Turks fleeing President Recep Tayyip Erdogan and his dragnet against real or imagined followers of the U.S.-based cleric Fethullah Gulen. Turkey accuses Mr. Gulen, an ex-ally turned enemy of Mr. Erdogan, of orchestrating the coup attempt. “We didn’t say goodbye to anyone before leaving,” said Mr. Cagar, who is now in Athens trying to find some way to get to Germany. His wife and child already made it there with the help of smugglers who have demanded a hefty price. “We began our journey with €13,000 ($14,700) and I have €1,500 left,” he said. Ahmed, a 30-year-old former F-16 pilot in the Turkish air force, spends his days talking to smugglers and trying to find a way out. 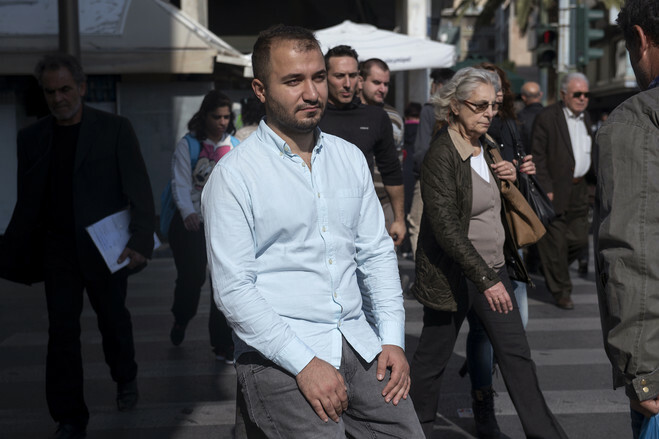 “My dream is Canada, but the reality is Omonoia,” he said, referring to the gritty square in downtown Athens where migrants and smugglers mingle. A few months after the coup attempt, Ahmed said, he was dismissed, accused of Gulenist links, arrested and beaten, after another officer denounced him. He said he has no connections with Mr. Gulen’s network. He was released pending trial, but decided to flee when a prison term appeared unavoidable. Yilmaz Bilir, his wife Ozlem and their four children were on vacation when the coup attempt happened. Mr. Bilir, who worked at the information-technology department of Turkey’s foreign ministry, found out months later that he was suspected of Gulenist links, which he denies. The family went into hiding, staying with relatives and friends. Mr. Bilir was arrested when he briefly visited his own home and neighbors called the police. When he was released pending trial, the family decided to leave Turkey. Mr. Bilir made it to Germany using a forged passport and has applied for asylum there. His wife and children have applied to join him. After the coup, Meral Budak was suspended from her job as a teacher. Her husband was a journalist at Zaman, a major Turkish newspaper linked to Mr. Gulen’s movement. He had a valid U.S. visa and was able to travel to Canada, where he now works as an Uber driver. His 18-year-old son joined him a few months later. 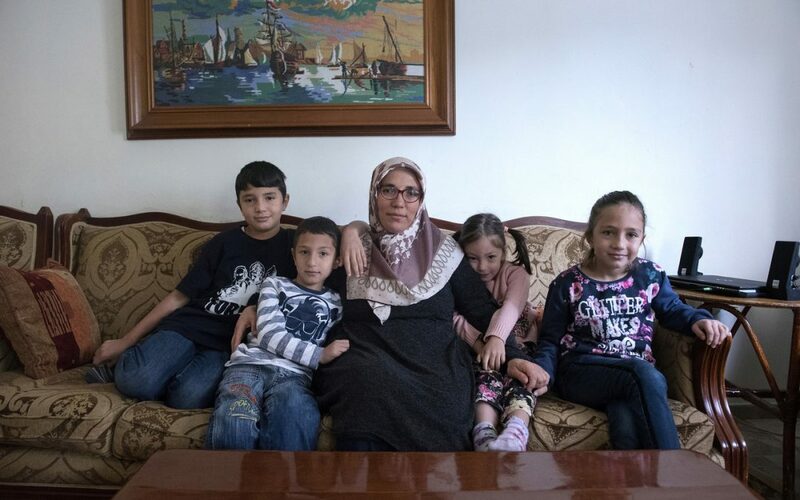 On Jan. 1 of this year, Mrs. Budak and Ali undertook the long walk across the Evros and into Greece, where they now wait to join the rest of the family in Canada.